We have worked steadily over the past seventeen years to build a reputation in our industry as one of the most innovative and trusted providers of Managed Print Solutions. We bring our entire wealth of industry-specific knowledge and expertise in device management, partnered with the only IT company on the globe able to offer products and solutions across all categories, to deliver fully integrated and optimised document handling systems. It’s no secret that offering tangible cost-savings can be a big factor in attracting new business. However, experience tells us that it is superior service above all that makes clients stay. Our approach to customer service is personalised, professional and guaranteed to reflect how important you are to us. At CCM Managed Print Solutions we aim to provide the best possible service for the best price in our industry. We challenge every decision-maker to see for themselves how our systems stack up against the competition. What is Managed Print Solutions? What is “Managed Print Solutions” (MPS)? While the Managed Print Solutions (aka Managed Print Services) definition is broad, the end result is simple: gaining greater visibility and control of your printing, which helps you boost productivity and save money. Managed print also helps you improve document security and environmental sustainability. Add up the costs of “printing” and it accounts for a large proportion — as much as 15% of a company’s annual spending. Through managed print solutions, you can outsource print management and cut costs by as much as 30%. Conduct a comprehensive, up-front assessment to analyse your current printing infrastructure. Monitor, manage and optimise your total print output environment, end to end. Give you a roadmap to reduce the number and types of printing devices and supplies while meeting the needs of your business. Proactively identify and resolve potential printing problems and replenish supplies before employees are affected. Reduce your environmental footprint through lowering energy consumption, printing less paper, keeping waste out of landfills and generating fewer greenhouse gases. 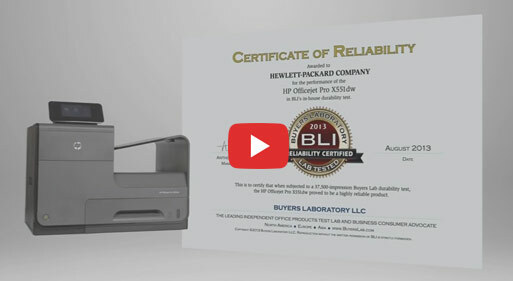 Give telecommuters and mobile workers flexible and secure printing access. Continuously monitor your overall printing environment and utilise ongoing process improvements to save you time and money. Provide network management and IT integration, from platform support to cloud-based solutions. Create a more satisfied and productive workforce by training your employees for a smooth transition through change management. Have a proven track record in the deployment of managed print services across the entire region through a network of highly skilled experts. Transform slow, paper-based processes (like routing and approvals) into automated, digital ones. What is the true measure of a good MPS provider? One who can seamlessly manage your print infrastructure, allowing you to concentrate on your core business. Check out Managed Print Solutions offerings from CCM Managed Print Solutions to see how we can help. Due to the unique benefits and industry-best pricing structures afforded to us as HP Gold Partners, we are perfectly positioned to draw upon and deliver all of the advantages associated with HP's unparalleled product range in the office technology space. Which network printer is right for your business? With constant advances in technology and integrated workflow solutions, HP network printers, copiers and multifunction devices have become key components to many core business processes. Now, more than ever, choosing the right network devices for your business is of critical importance to your operations, directly impacting the productivity and profitability of your organization. Whether you are in the market for a single device or looking to audit your entire fleet, CCM Managed Print Solutions can help you determine the best HP printing and imaging solutions based on your departmental needs, user and application requirements, page volumes and budget. Using our extensive knowledge, experience, and expertise in the network printing and imaging industry, we will help you evaluate your needs by identifying and understanding the types of documents you are printing, copying and scanning; the size and characteristics of your common print and copy jobs; average page and consumables volumes; uptime requirements for critical applications and network security concerns. CCM Managed Print Solutions offers the complete HP product portfolio from desktop, workgroup and production devices to cost-effective monochrome and colour printers, from dedicated copiers to multifunction devices that do it all, we’ll find the best HP solution with the ultimate fit for your specific requirements. We can also make sure you take advantage of manufacturer trade-in programs and special promotions to help you get the most for your money. CCM Managed Print Solutions can also enable your business to take advantage of the best printers, copiers and multifunction devices through our easy finance managed rental programs. Time and again, HP devices offer significant environmental benefits with a reduced acquisition cost and lower cost per page. In addition to helping you find the right solution, CCM Managed Print Solutions will provide everything you need to keep your HP devices up and running – including fully authorised HP warranty and repair service, a choice of high quality consumables and print management programs designed to ensure you make the most of your printing and imaging resources.